At ICA Miami, Ofili’s extended-run installation will evolve over the course of its duration, with works being added and/or subtracted over time. 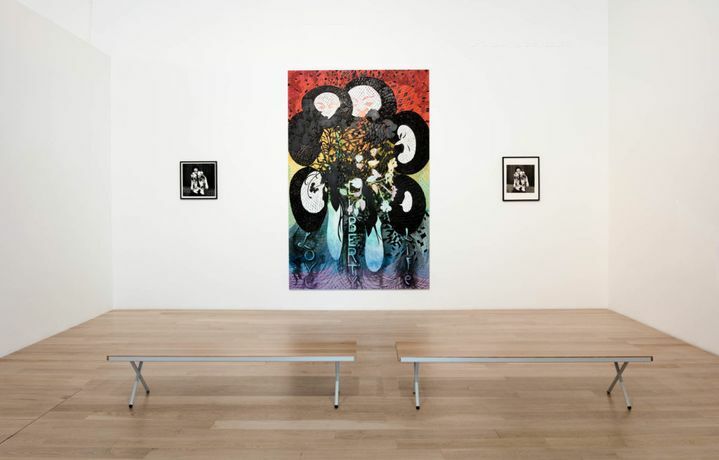 Chris Ofili is renowned internationally for his richly layered works that combine imagery and influences from sources as divergent as comic books, hiphop, Zimbabwean cave paintings, Biblical scenes, and 1970s-era Blaxploitation films. Since moving to Trinidad in the mid-2000s, Ofili has looked increasingly to the Trinidadian landscape and mythology in order to further reflect upon his long-term consideration of history and identity. His most recent paintings have been animated by figures and scenes from folkloric myths and arguably revisit and revise tropes of modernist painting by artists such as Henri Matisse and Paul Gauguin. Over the last few years, he has also experimented beyond painting through immersive installation works.